During its 1500-year Golden Age, Atlantis was at the height of its spiritual strength. Its inhabitants enjoyed incredible gifts including healing, levitation, clairvoyance and telepathy. 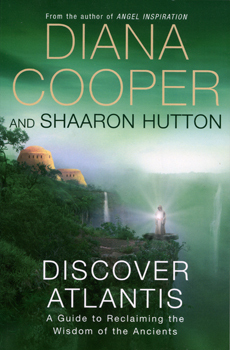 Now, for the first time, world-renowned spiritual author Diana Cooper presents us with the first comprehensive guide to understanding the Golden Age of Atlantis. Discover the history and society of this most spiritual place and time, from the origins of Atlantis to the forces that finally caused its destruction. As well as revealing how to understand and use the Atlanteans' spiritual powers, Diana shows us how they lived, with new information about their homes, work and their religious and social life. Diana reveals new information on the Temple of Poseidon, the Great Crystal of Atlantis and the original Sphinx, as well as on the awesome wisdom of the famous crystal skulls. There are easy-to-follow exercises to develop your spiritual powers, some of which were used by the High Priests and Priestesses themselves. Accessible yet inspirational, this book is the only guide you will need to understand the history of Atlantis - and how to harness its unique powers for yourself.